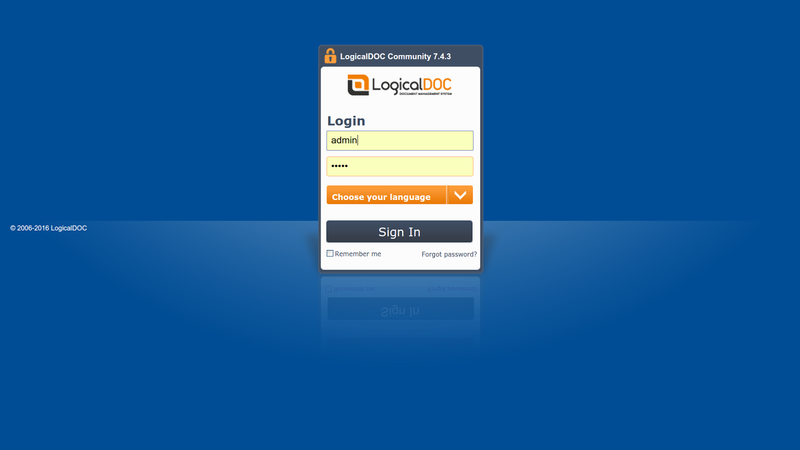 After creating a professional Docker image of LogicalDOC Community Mihai has composed an article that gives a brief introduction to Docker and describes the choices he made to “build” this according to the parameters of functionality and maintainability. Docker is derived from linux containers, an operating-system-level method for running multiple isolated Linux systems (containers) on a control host using a single Linux kernel (https://en.wikipedia.org/wiki/LXC). Docker uses LXC, and is a way to package and ship applications in containers. Once the application is packaged, it is very easy to run on every linux machine where Docker is installed (it runs on Windows and Mac also, but with virtualization, because Linux kernel is needed). The goal of this project was to create a Docker image of LogicalDOC CE self-contained, running with MySQL database, where all external components were installed. These components include: LibreOffice for producing the previews, ImageMagick and Ghostscript to the creation of thumbnails.